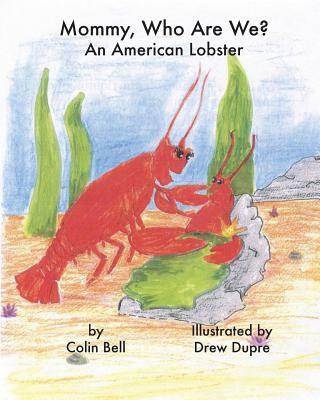 Mommy, Who Are We?​ ​concerns a young American Lobster, Lori, who wishes to know more about her place in the world. For children and adults alike, the book is designed to be both informative and entertaining. Colin Stephen Bell​ ​is a retired science teacher from the Ipswich School System in Ipswich Massachusetts. Colin taught high school Earth Science and Biology for 16 years and eighth grade science for 12 years. He currently lives in Newburyport, MA with his wife of 45 years. Colin has two daughters: Kimberly and Kristin. Also one granddaughter, Ella, age five, the inspiration for the book. He plans to create more books of this nature. Drew Duprewas raised on the North Shore of Massachusetts. She attended Salem State University where she majored in Art Education and worked on private art commissions on the side. She presently works as an Elementary art teacher in Merrimac MA. She enjoys teaching students ways to express themselves. Drew has a young son, Henry, who loves to read books with colorful illustrations.